Save the Date! SLPowers 6th Annual Margarita Ball! Home › Community Events › Save the Date! SLPowers 6th Annual Margarita Ball! It’s (almost) time to party! 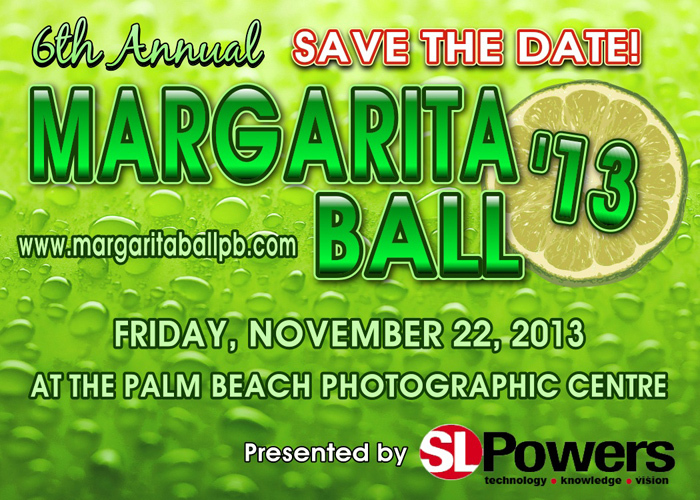 Join us for the 6th Annual Margarita Ball of the Palm Beaches! on Friday November 22, 2013- from 7pm-10pm. To register for your ticket head over here. As always, with your free ticket, you will need to bring two unwrapped gifts (valued at $10 or more, each) per person. A whole night of fun for just $20 in toys! Awesome! And you’ll be doing good. All toys will be donated to Community Friends and distributed to children who otherwise may not be receiving holiday gifts. ‹ Poll: What would you like to see on the blog?